Duterte accuses water firms of creating crisis: These sons of b****** are milking us dry! President Rodrigo Duterte is claiming that water companies, with the connivance of the state watchdog Metropolitian Waterworks and Sewerage System (MWSS), created the water shortage last March to force a price hike in water rates. 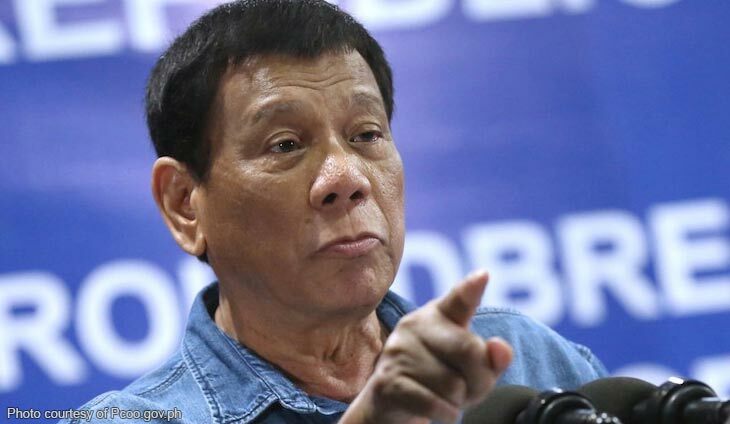 Duterte revealed what he told officials of the MWSS, Maynilad Water Services Inc. of the Metro Pacific-Salim and Consunji groups and the Manila Water Corp. of the Ayala group, when he scolded them in a March 19 meeting in Malacanang. “The water crisis, that son of a b****. If I didn tell them, ‘Open the water dam there. If there’s still no water supply by noon time tomorrow, I will go to Manila and slap all of you’. The next day there was water. Would you look at that?” said Duterte in a speech in Malacanang. “They didn’t plan on opening it because they were waiting for an increase. Only then will they release the water. That’s true. These rich people, these sons of b**** are milking us dry. And they are the ones who finance agencies like Rappler,” said Duterte referring to media outfits he claimed were bias against his administration. Duterte also torched the MWSS for playing along with the water companies’ ploy to coerce consumers to pay more for their water bills. “Just like with the MWSS. Anak ka ng p***. Every season there is always the El Niño. So why didn’t you prepare for that? And now you ran out of water even before the El Niño. Son of a b****. Where has all the water in this universe gone to then? If I didn’t tell them that I’ll go there personally… The next morning there was water. You see how deceitful these rich guys are?” said Duterte.